Rainbow Bridge is a Grief Support Community for those who are hurting from the death of a beloved pet. They were not “just a pet”, they are our family. Create a Rainbow Bridge Memorial which you care for as the Guardian of your pet’s memory. 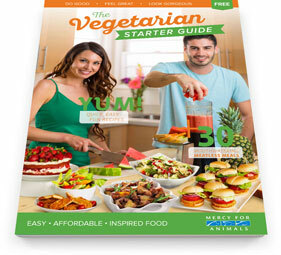 Mercy for Animals is offering a FREE 32-page Vegetarian Starter Guide with recipes, meal plans, and practical advice. The resources listed below are here to give you some choices in finding affordable veterinary and spay / neuter services. Veterinary Expense Assistance Programs will provide some options to find affordable veterinary care in our area. Virginia Spay / Neuter Programs lists some low-cost spay / neuter programs to consider. National Spay / Neuter Programs offers some choices for spay / neuter services outside of Virginia.